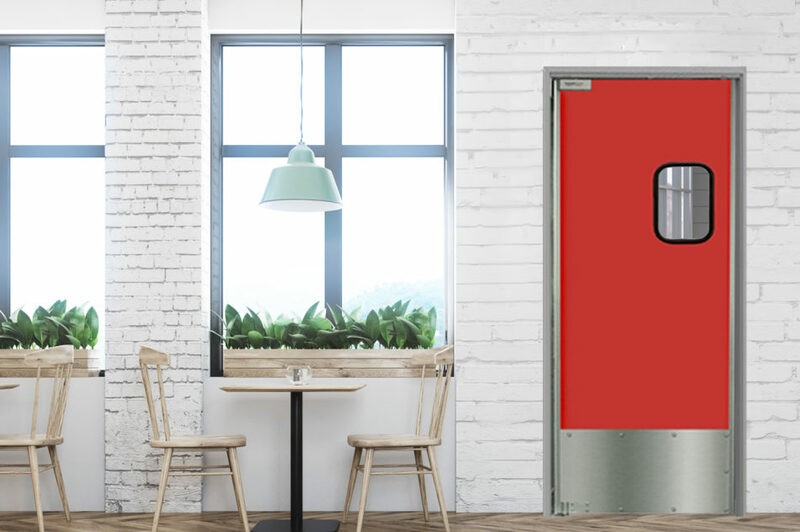 The Eliason® LWP-6 traffic door is a lightweight, economical solution where visual separation is desired between kitchen and dining areas, customer service and back room, or sales floor and stockroom. 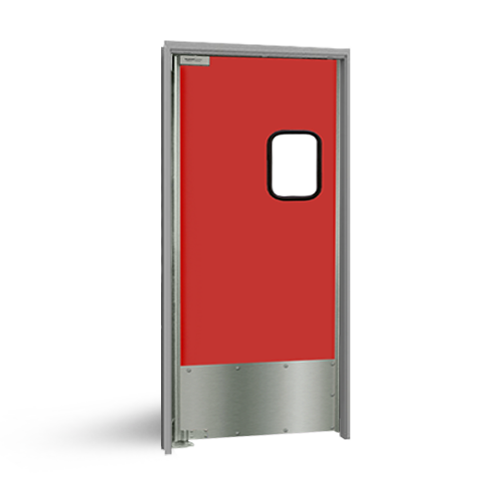 The door body is constructed of a special alloy .063” thick tempered aluminum that creates a durable door with just the right amount of flexibility. The LWP-6 comes standard on both sides with a decorative high pressure laminate (HPL) available in a virtually unlimited choice of colors and patterns. Standard 12” high stainless steel base plates are located on both sides. Standard vision panels are 9” x 14” set in black rubber molding. 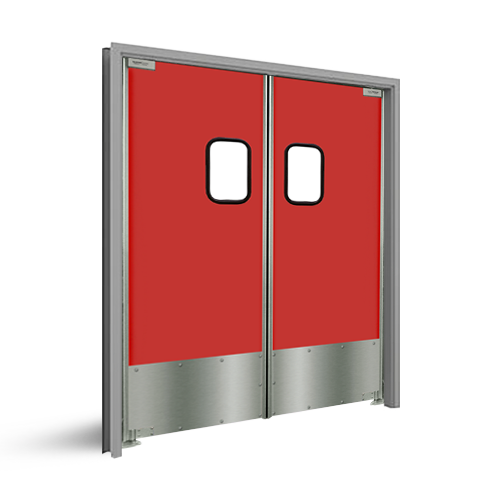 Various window sizes and shapes, impact plates, push plates and other options are also available. 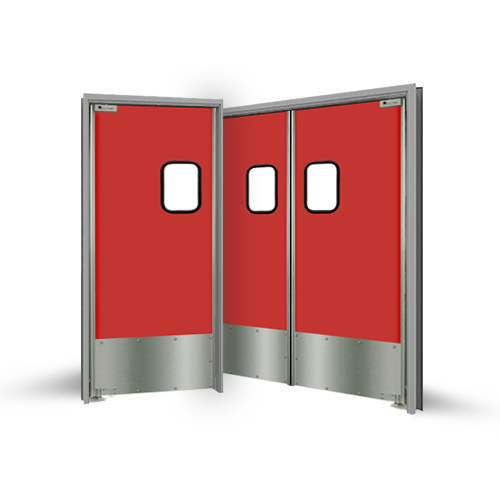 The LWP-6 operates on the Eliason Easy Swing Hinge®.